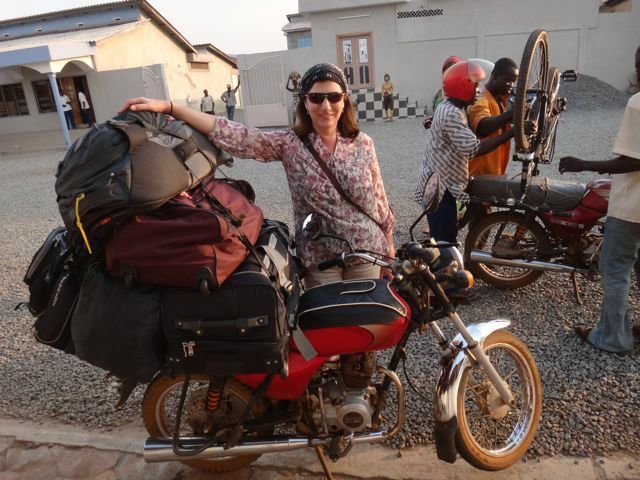 Zems can transport anything–even massive amounts of shoes and a bike! My zem friends all came by to greet my visitors the first morning. Cute. 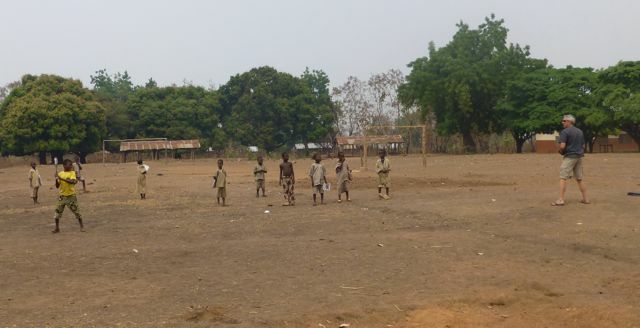 Coming soon: a village baseball team? 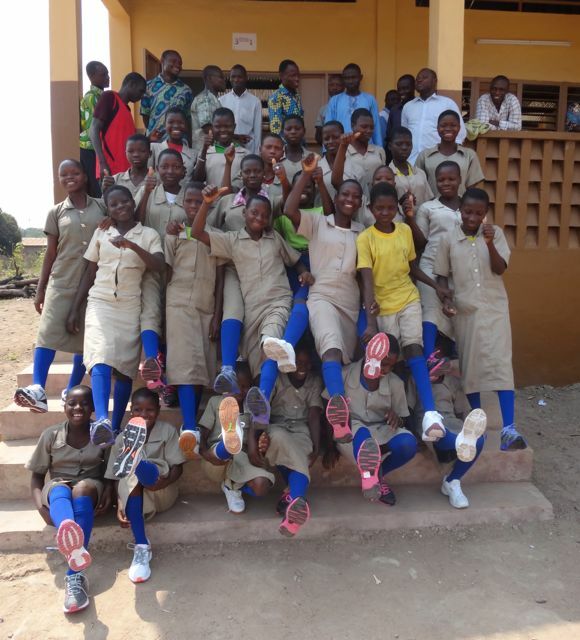 My girls’ soccer team with their brand new shoes courtesy of the lovely people of St. Stephen’s! Max gave the sermon at Sunday mass. 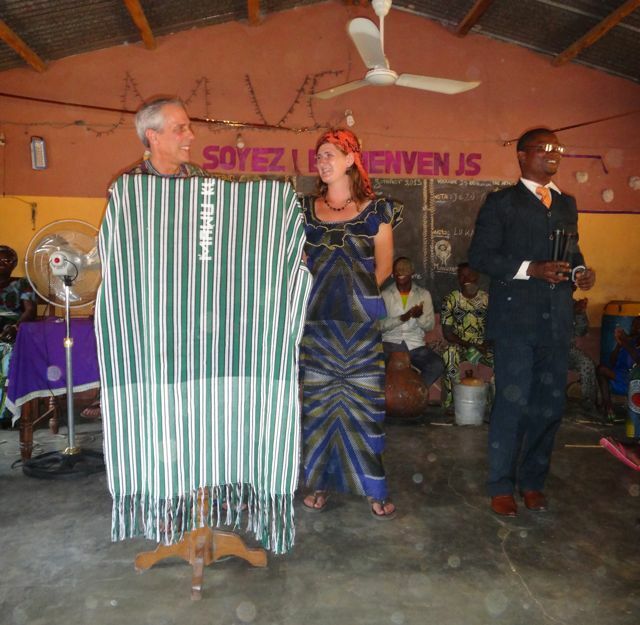 I translated into French and the pastor translated into Fon. 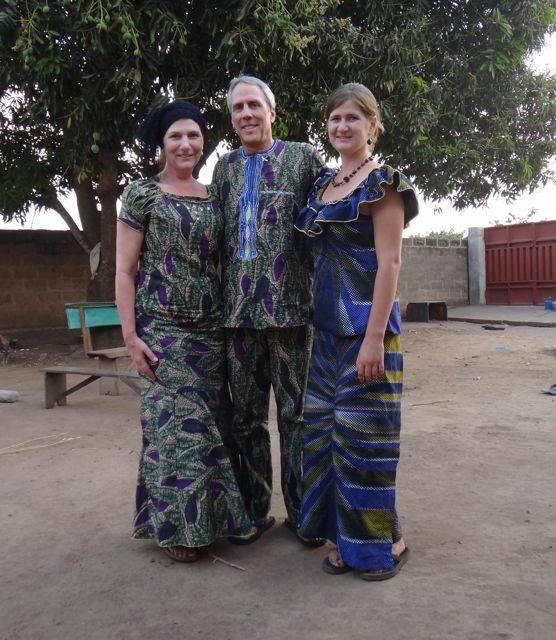 Previous Post Parental Units Arrive in Benin! You all look marvelous getting ready for church! And that zem is amazingly loaded up! I’m sharing your photos on St. Stephen’s Facebook page so that others can see them, too. 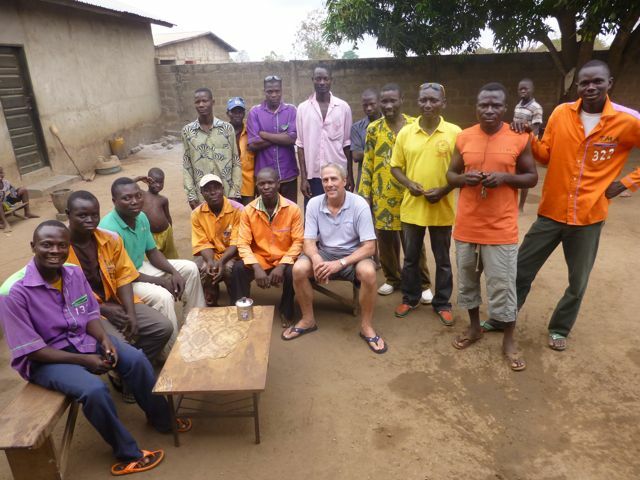 Wonderful to see you all. Looking forward to hearing more when you return–first the parents and then not too much later, the grown up daughter! Love to you all. Wonderful Pictures and I agree with Lelanda that Zem sure can load a lot.